This book reconceptualises the idea of communalism in independent India. 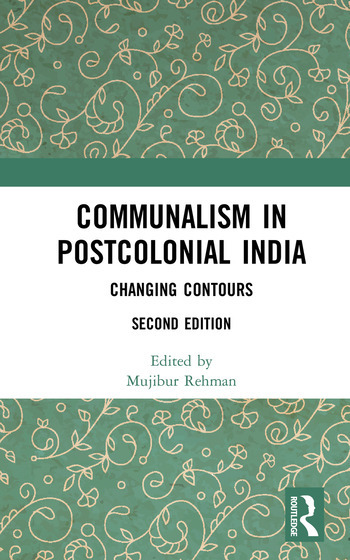 It locates the changing contours of politics and religion in the country from the colonial times to the present day, and makes an important intervention in understanding the relationship between communalism and communal violence. It evaluates the role of state, media, civil societies, political parties, and other actors in the process as well as ideas such as secularism, nationalism, minority rights and democracy. Using new conceptual tools and an interdisciplinary approach, the work challenges the conventional understanding of communalism as time and context independent. This second edition includes a Foreword by Romila Thapar and an Afterword by Dipesh Chakrabarty, along with a new Introduction which revaluate the trajectory of communal politics in contemporary India, and question how secularism has come to be understood today. This topical volume will be useful to scholars and researchers in South Asian politics, political science, history, sociology and social anthropology, as well as the interested general reader. 12. United Progressive Alliance (I) and India’s Muslims: Redefining Equality of Opportunity? Mujibur Rehman teaches at Jamia Millia Islamia, New Delhi, India. He has received graduate research training at the University of Texas, USA; the University of Heidelberg, Germany; and Indian Institute of Technology (IIT), New Delhi. He wrote his doctoral dissertation on Politics of India’s Economic Reform (1991/92-2004). He has edited Rise of Saffron Power: Reflections on Indian Politics (2018). He is presently working on two book projects on Indian Muslims, and on the politics of anti-Christian violence in India.